On the Brittany coast, the Côte d’Emeraude has several jewels one of which is a major destination, Saint-Malo. 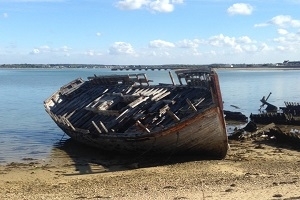 This seaside resort of Ille et Vilaine opens on to the English Channel close to the Normandy. This historic port is one of the most popular tourist resorts of the region; tourists flock to see the spectacular high tides, its boat races or simply enjoy its exceptional landscapes. 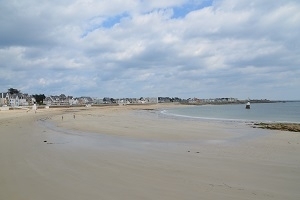 Saint-Malo is one of the most popular destinations in Brittany. Its famous walls protect from the tides, the highest in Europe, and its walls saw the birth of many explorers and writers including Chateaubriand, Jacques Cartier and Robert Surcouf. 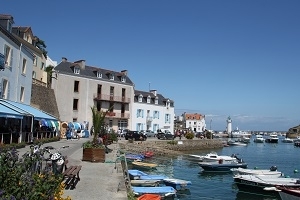 The town port is the second of Brittany. Millions of visitors from France, Great Britain and Ireland flock here, eager to discover some of the 83 historic buildings that make up the city. Among the most compelling, St. Vincent Cathedral, Fort National, the fort of Petit Be and the Ducal castle. City of corsairs, it is from here that many explorers left to open new maritime routes. Rich ship-owners had built beautiful houses, called "malouinières" well protected behind the walls built by Vauban. 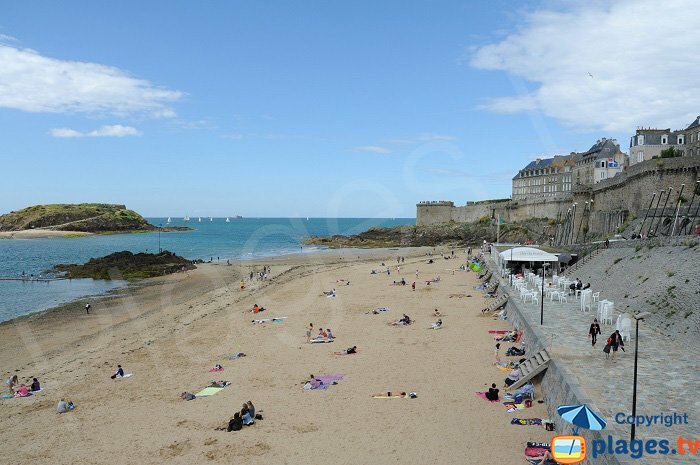 This city which fears nothing is the perfect place to watch the tides in the Bay of Saint-Malo, in the spring and autumn. Bird watchers come to observe the different species that inhabit the place, cormorants, gulls and other ruddy. Within the walls, it is small but leaves visitors with a sense of indescribable happiness. Two main streets pass through the neighbourhood. You can walk it before taking the stairs and climb the ramparts to enjoy an unforgettable view. 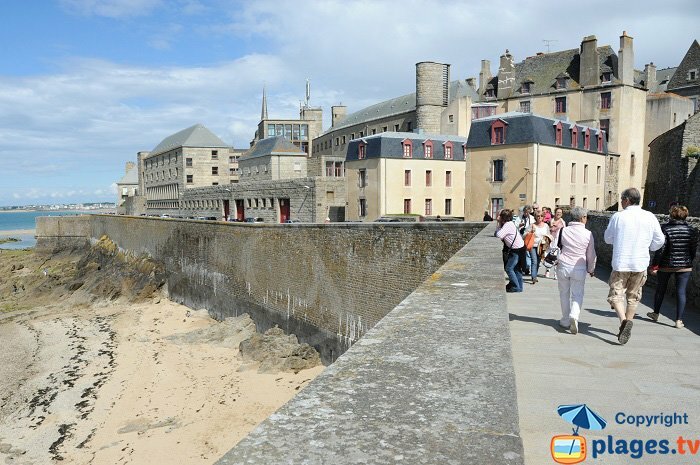 Saint Malo's beaches are revealed, literally glued to the big walls. 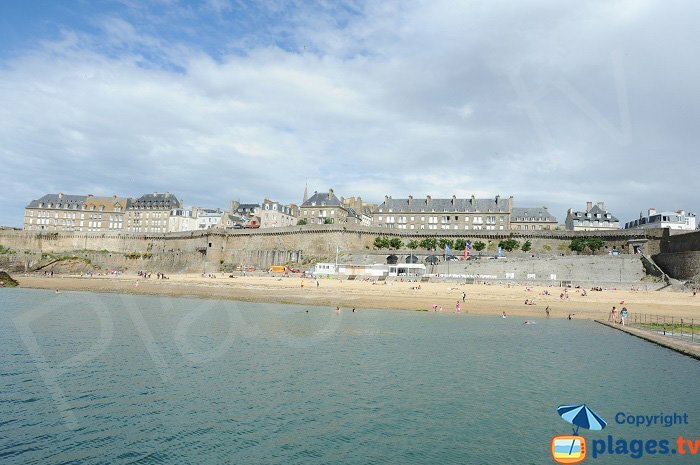 What also attracts the holiday makers, is the vast coastline of Saint Malo. 29 km and 16 beaches share the coastline. 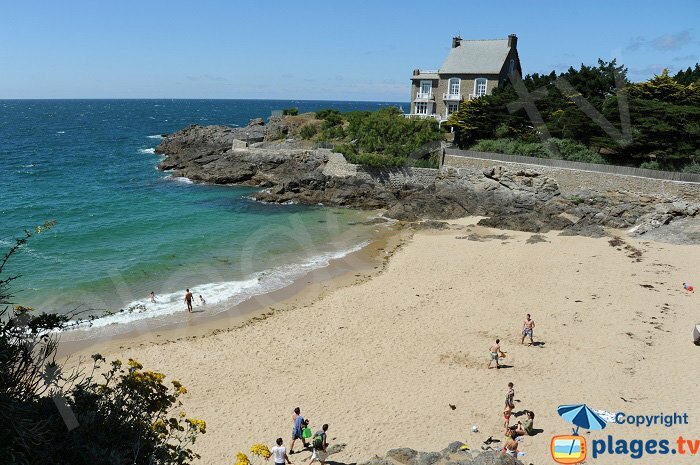 The rocks are interspersed with sandy beaches, among the most popular ones is the Bon Secours, Mole, and Eventail ... The beaches of Minihic and the Pont have the best views of the bay. Nicet's Cove is one of the most hidden away and most beautiful. Nature lovers and hikers are found on the famous GR 34, a hiking trail that follows the ancient coastal footpath. The opportunity to discover the city from along the coast but also the different lights that are the delight of photographers and landscapes. At low tide, you can reach, from the beach of Bon-Secours, the Grand Bé, island that becomes a peninsula a few hours a day. This is where Chateaubriand is buried. 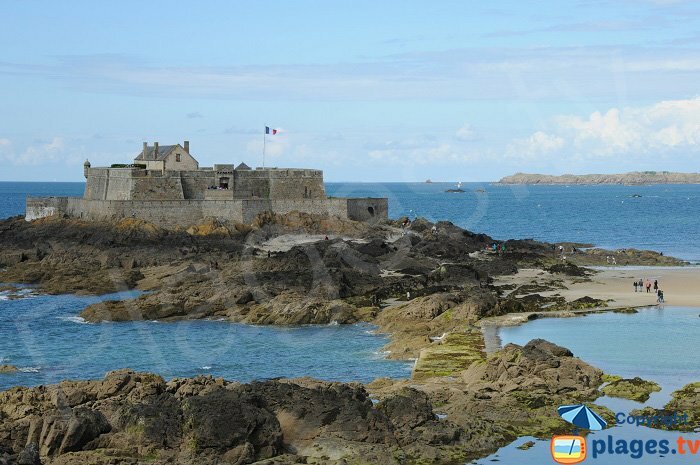 You must see the island of Petit Bé,fort perched on a rock facing the ramparts of Saint Malo. Built by Vauban, it was abandoned for almost 120 years. 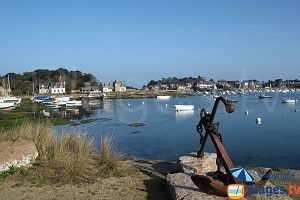 All around the city, the towns of Dinard, Cancale, Dinan and the Mont Saint-Michel are to visit. The shuttles go to some seaside resorts and also to England, aboard a ferry (1h30 crossing) directions for Jersey or Guernsey. In the nearby village of Saint-Coulomb, the Guimorais Beach is one of the most beautiful in the Malo area and you can watch stunning sunsets.